DoubleLine Income Solutions Fund invests in bonds and other income producing securities around the world. It currently invests about 45% of assets in developing countries. The current yield is 9.85%. The total net assets are $3.1 billion. This fund is managed by Jeffrey Gundlach, Bonnie Baha, and Luz Padilla. Gundlach is known as one of the best bond managers. This DoubleLine fund has returned -8.23% over the past1 year. In 2015, it has year to date return of -3.16%. Top 3 bond sectors are foreign corporate bonds (45%), corporate bonds (17%), and general debt (10%). Nuveen Premium Income Municipal Fund 4 utilizes its assets to purchase municipal bonds. It provides tax free yield for income. The current yield is 6.38%. It has an expense fee of 1.52%. The fund manager is Christopher L. Drahn. It has $878 million of assets. Morningstar has ranked this best closed end fund with 4 stars rating. It has returned 3.28% over the past 3 year, and 4.98% over the past 5 year. In 2015, the YTD return is 0.29%. As of August 2015, the top 4 bond sectors are healthcare, limited tax obligation, transportation, and US guaranteed debts. The fund has an average maturity of 20.18 years. PIMCO Dynamic Income Fund is currently trading below its NAV. The market price is trading 8.22% discount to its NAV. This PIMCO fund has a high yield of 8.97%. The fund managers are Joshua Anderson, Daniel J Ivascyn, and Alfred T. Murata. Its expense fee is only 0.70%. Top 3 bond sectors are banks, integrated oil, and other financials. The annual portfolio turnover rate is 10%. This BlackRock fund invests mainly in below investment grade fixed income securities. With assets of $2.2 billion, it has a high yield of 1.32%. The fund sponsor is BlackRock Advisors. Its expense fee is .132% per year. Morningstar has ranked this high yield bond fund with 4 star and bronze rating. In 2015, it has year-to-date return of -7.52%. It has returned 0.36% over the past 3 year, and 6.67% over the past 5 year. This Eaton Vance fund invests in dividend paying common and preferred stock. The fund managers are Michael A. Allison and John H. Croft. Its total expense fee is 1.42%. It has $1.7 billion of assets. The average UNII per share is $0.1058. The current distribution rate is 7.82%. In 2015, it has year to date return of 9.20%. This equity fund has returned 12.85% over the past 3 year, 13.03% over the past 5 year, and 6.30% over the past decade. As of September 2015, the top 5 stocks in its portfolio are Google Inc, AXA SA, Apple Inc, Deutsche Telekom AG, and Prudential Corporation Plc. Top 3 countries are USA, UK, and France. John Hancock Tax-Advantaged Dividend Income Fund has a high dividend yield, 7.38%. This fund invests mainly in dividend paying common and preferred stocks. Its expense fee is 1.55%. The current share price is $19.75. This Eaton Vance Tax-Advantaged Dividend Income Fund is ranked with 3 stars rating by Morningstar. This tax advantaged fund invests in high paying dividend stocks. The current yield is 9.02%. This equity fund has a 3 year average return of 12.62%. Top 4 stocks in its portfolio are General Electric Co, Exxon Mobil Corporation, JPMorgan Chase & Co, and Wells Fargo & Co. Top 4 country allocations are USA, Switzerland, UK, and Ireland. 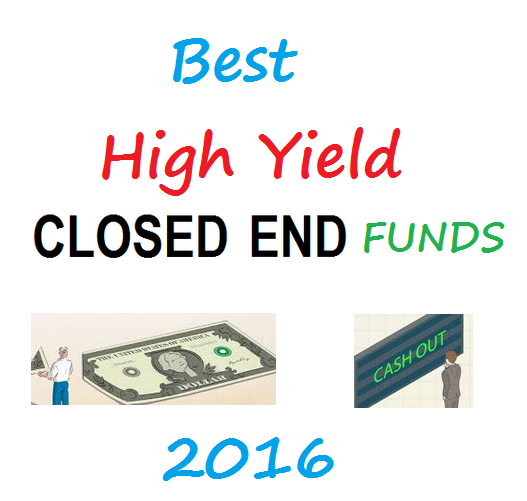 John Hancock Premium Dividend Fund also has a high dividend yield of 8.38%. The annual portfolio turnover rate is 67%. It invests in dividend paying preferred stocks and common equity securities. 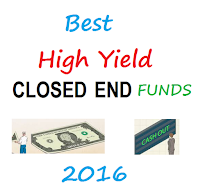 This high yield fund sponsor is John Hancock Advisers LLC. This Cohen & Steers REIT & Preferred Income Fund has a high yield as well, 8.58%. It uses its assets to purchase common stocks, preferred securities and debt securities. The current share price is $17.28. Its expense fee is 1.71%. It has $1.3 billion of assets. As of August 2015, the top 5 stocks are Simon Property Group Inc, Equity Residential, Vornado Realty Trust Shs of Benef Int, SL Green Realty Corporation, and Host Hotels & Resorts, Inc. Top 2 sectors are diversified REITs, and preferred shares. This Nuveen Nasdaq 100 Dynamic Overwrite Fund sells call options covering between 35% and 75% of the value of the funds equity portfolio, with a long-run. With assets of $712 million, its expense fee is only 1%. The current share price is $18.05. Top 4 sectors are Internet Software & Service, Tech Hardware & Storage, Biotechnology, and Software. In 2015, the year to date return is -2.72% (up to August 29, 2015). Where can you buy these funds?